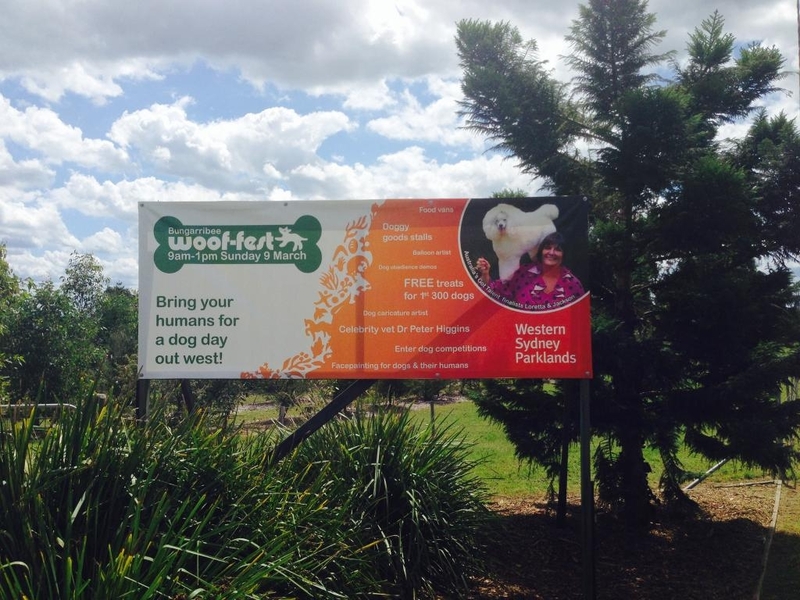 We all had a great day at Woof Fest on the weekend. The organisation was great and they even organised a lovely sunny day!!! Chloe and Campbell helped me with the show and we all had a great time dancing and having a lot of fun with the children. We judged the best trick competition and it was tough to choose a winner as all the dogs were great. Check out the sign when we walked in!! We are now having a couple of days of rest (although I think it’s mum who needs the rest) and then we are preparing routines for the Royal. and Pipin. Pipin is a good friend of mine – a black poodle who is a very experienced dancer so it is going to be great. We have been in many shows together but never performed in a dance together. Should be a lot of fun!!! !